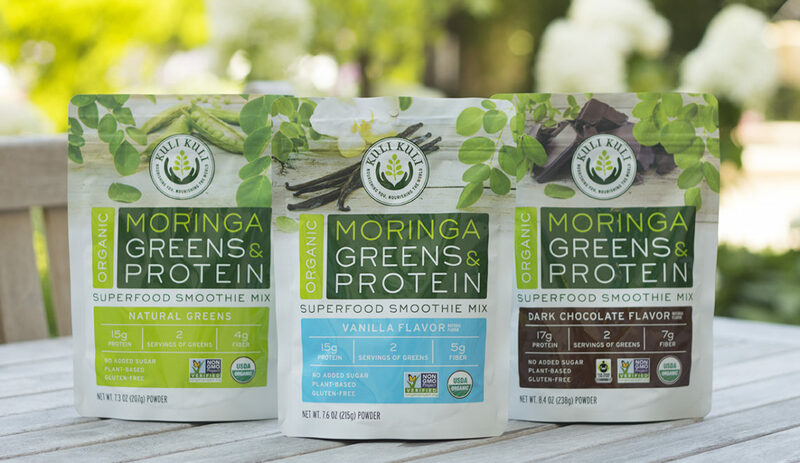 Oakland, CA, September 6, 2017 – Kuli Kuli, America’s leading brand of the green superfood moringa, is introducing the Organic Moringa Greens and Protein to its line of popular moringa products. Moringa, one of the most nutritious plants on the planet, is the perfect addition to smoothies. The new plant-based protein powder comes in three flavors, Natural Greens, Vanilla, and Dark Chocolate, and is a convenient way to get both their greens and protein on the go. Now available at KuliKuliFoods.com, Amazon.com and in Sprouts Farmers Market stores nationwide, Kuli Kuli’s Moringa Greens and Proteins are available in 7.6 oz pouches (SRP $29.99) and single serve packets (SRP $3.99). Known in ancient cultures as the “tree of life,” moringa is often touted as the next plant-based superfood trend. It is naturally rich in protein, iron, calcium, vitamins, and antioxidants, and provides a complete protein with all nine essential amino acids. Kuli Kuli sources the highest-quality, sustainably-grown moringa leaves from their network of women-led farming cooperatives across the globe, and this new USDA Organic Certified plant-based smoothie addition offers 15 grams of protein, 2 servings of greens, and 5 grams of fiber per serving. “This is the protein powder for people who don’t like protein powder. It’s incredibly tasty, smooth and uses only simple, organic and Fair Trade Certified plant-based ingredients. Plus, every pouch we sell supports women farmers and helps to plant moringa trees around the world which give economic opportunities as well as environmental restoration to farming communities,” said Lisa Curtis, Kuli Kuli’s Founder & CEO. Kuli Kuli was founded by 29-year old Lisa Curtis after she discovered the wonders of moringa during her time as a volunteer in the Peace Corps in Western Africa. It is now the leading moringa brand in the US. As it turns out, moringa is one of the most nutritious plants on the planet, including kale. Kuli Kuli sources only the highest quality, most nutritious moringa. The company is proud to partner with women-led farming cooperatives in developing countries like Ghana to provide economic opportunities, and has partnered with the Clinton Foundation to help with the reforestation of Haiti. To date, Kuli Kuli has planted more than 200,000 moringa trees and supported over 800 women farmers to earn a sustainable living. Kuli Kuli’s products include Moringa Superfood Bars, Pure Organic Moringa Vegetable Powder, Energizing Moringa Herbal Tea, and Moringa Green Energy shots. 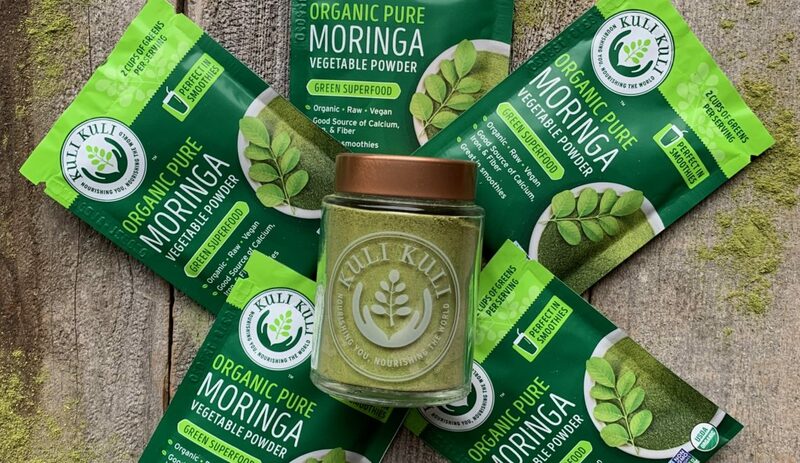 Kuli Kuli’s moringa products make it easy for Americans to get their greens on the go while helping to plant moringa trees and support women farmers in the developing world. Anne is a cofounder and creative at Kuli Kuli, Anne brings holistic and design thinking to build creative and engaging visual experiences around the brand. 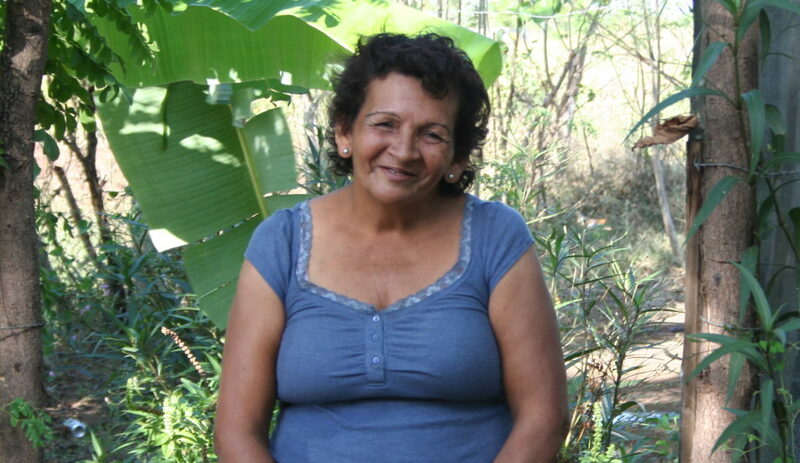 Anne has a passion for healthy living, cultural immersion, food and nutrition, and travel. We’re glad you enjoyed it. Thanks for reading!